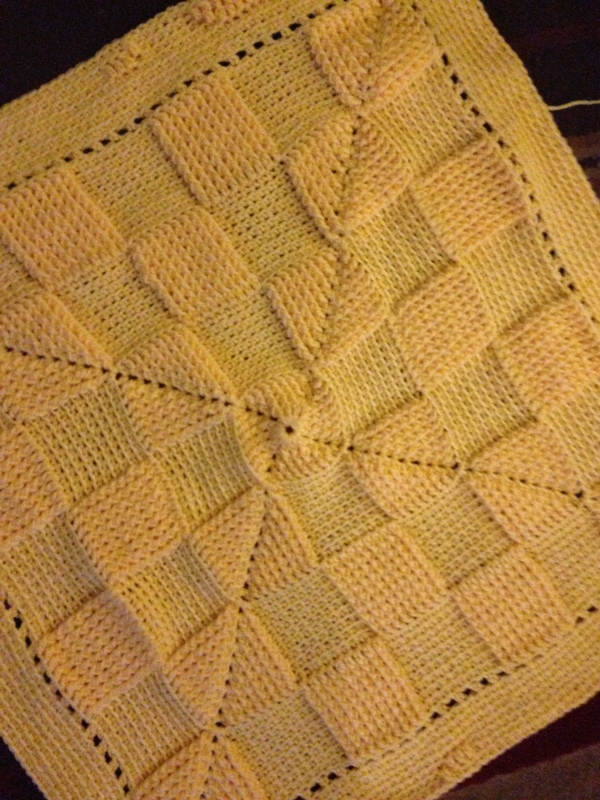 I started a new baby blanket this week. I decided to go for a traditional soft yellow, just a bit darker than a pastel yellow. I’m working it with a sport weight yarn. It is worked in one color and as one piece. I was pleasantly surprised by this as it looks so complex… but it really isn’t. The middle is a checkerboard pattern while the outer edge has an animal pattern. Here are a few pics of the work in progress. 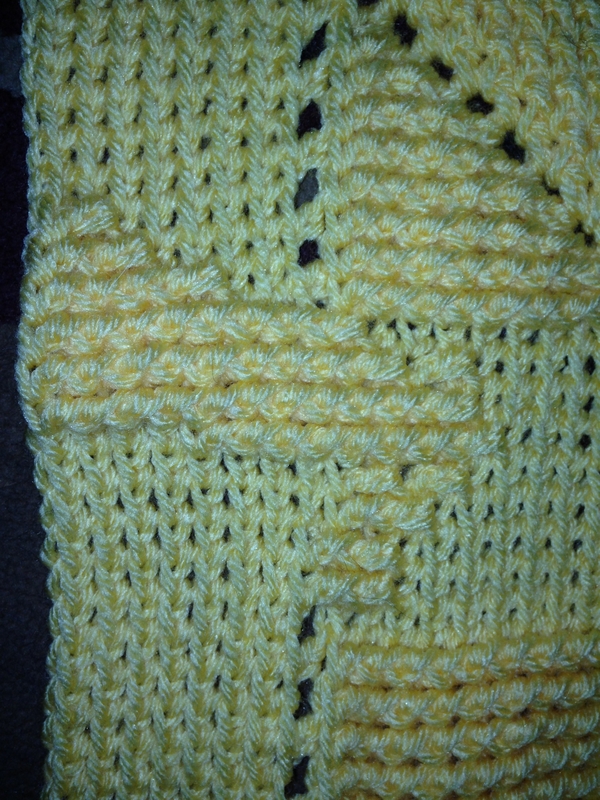 The first picture depicts the center of the blanket while the second is the beginnings of a giraffe (notice the head). This one is a lot of fun to make and it’s going pretty quickly as well. I’ll update with the finished project as soon as I’m done. Hopefully this weekend, but I’m also redoing my kitchen, so it may just be sometime next week.